AS IT STANDS: Memo To Trump: Time To Put Up Evidence or Shut Up! Memo To Trump: Time To Put Up Evidence or Shut Up! We the people are tired of listening to your false allegations regarding voter fraud during the presidential election. 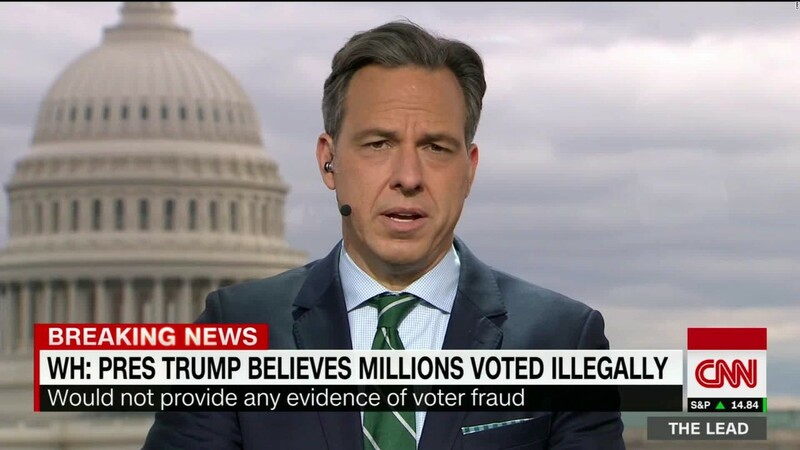 It's bad enough that you've been spreading lies about individuals, corporations, your involvement with Putin, and our judiciary system since the day you were sworn in, but do you really have to keep revisiting that false accusation of voter fraud when you heard Clinton got three million more votes than you? To be clear, what we see is a thin-skinned serial liar trying to chip away at the very foundation of our democracy - fair elections. Ellen L. Weintraub, a commissioner on the Federal Election Commission recently challenged your claim and asked you to provide evidence to support them. When you said that out-of-state voters were bused into New Hampshire to vote for Clinton it was too much for Commissioner Weintraub. Weintraub said, "As a Commissioner on the Federal Election Commission, I am acutely aware that our democracy rests on the faith of the American people in the integrity of their elections. "The president has issued an extraordinarily serious and specific charge. Allegations of this magnitude cannot be ignored." She's right. Either put up evidence...or shut up! This isn't the first time you floated this lie about voter fraud. On numerous occasions you claimed three to five million people voted illegally in November. Thus far there's not been a shred of evidence to prove your accusations. You recently told Bill O'Reilly that your first puppet Pence was going to head up an investigation into the matter. While Pence is looking into that aspect of election fraud would you make sure he shares all vetted facts by our intelligence community about Russia's involvement in the election too?